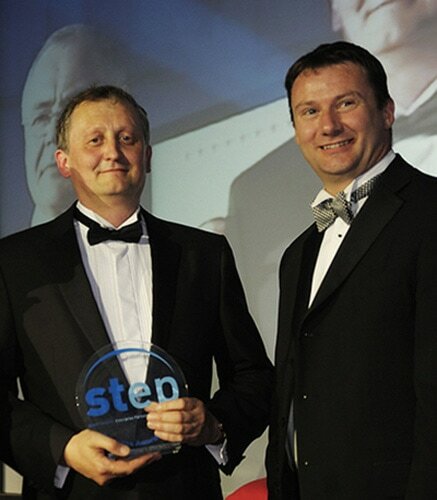 In the picture above is Paul Stratford, our Manufacturing Director and Environmental Guru who is proudly collecting the Environmental Award at the recent STEP Business Awards 2010. Paul is the one holding the award which was handed over from Andrew Ward of Groundwork (South Tyneside) who very kindly sponsored the award. Paul has been the driving force over the last 12 months towards our drive to achieving ISO 14001. As well as being an extremely hard working member of our team, Paul is also seriously training for a cycle ride from London to Paris in Aid of the Stroke Association, this September. More details will follow.